Made of cut out Stainless steel with glass bowls, this great Dorit Judaica design of Seder plate is themed with pomegranates along the sides and bowls with the respective foods' names alongside them in the center of the standing Seder plate. 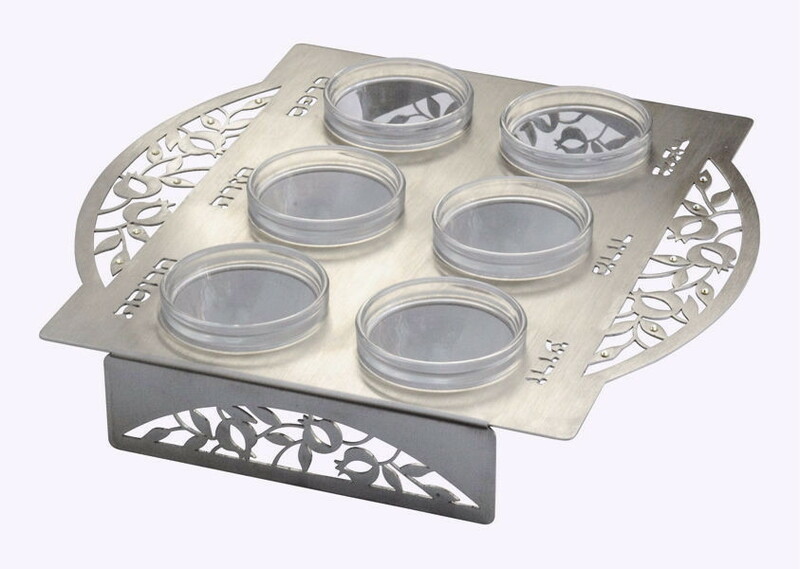 This lovely Stainless steel Seder plate features 6 bowls for each of the seder foods, and the name of the symbolic food next to each bowl, cut into the stainless steel. The sides and stands of the plate are decorated with cut out pomegranates. Dorit Judaica pieces are artistic and beautiful, and this is no exception.